Note: Unless there is an explicit requirement for enhanced graphics, the preferred driver for Windows Server 2008 R2 is the Microsoft-provided VESA driver. The question was multi-dimensional from the customer and was not something I had looked at yet so I asked around a bit with a few folks and did some basic testing with a friend in VMware GSS. Does the WDDM Driver make the VMRC perform better? Will the VMware Tools Update revert the driver? Does Sysprep on Customization revert the driver? 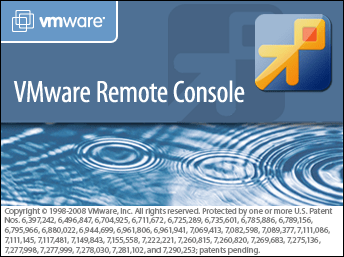 The first question was validated by a few folks in the field that indeed the WDDM driver does appear to have some benefits when using the VMware Remote Console, (VMRC). They mentioned they have been doing it for a short time now with vCloud Windows 2008 Templates. Now I had always known the driver was only loaded by default with Windows 7, but in my labs I have never bothered to changed it since performance was not an issue in lab testing. Also, my hosted vCloud instances are almost all CentOS linux so I have also never tested it there. So we can take the word from the field guys that it does seem to work better. The other two questions I enlisted a little help since my lab is still undergoing a tune-up as it were. My bigger concern was if you changed the template to the WDDM, would either the tools update or SysPrep revert it back to the Standard VGA. If it did there would be little point to actually having it in the vCloud vApp template if you just needed to script it post update or SysPrep. The seemingly good news in the limited testing is that in fact NEITHER operation appears to revert or change the WDDM driver back to the standard one within the vCloud vApp. This was a very limited test based on time and availability so I would encourage folks to re-test on their own and comment as they see fit to their results. The outcome would seem to be that if the WDDM does improve the VMRC performance and the driver remains with the two key updates, this would make a compelling case to use it. If nothing else play with it yourself to see. I may stand up a hosted Windows 2008 R2 vCloud vApp this week one with and one without and maybe see the performance results. There is no better test than with my slow DSL from home to a hosted vCloud Director instance! The VCD remote console (as well as the vSphere remote console) is sluggish w/o an optimized display driver such as the WDDM driver. Traditional remote connectivity clients such as RDP, SSH, etc. solve the slowness issue by avoiding the use of vSphere’s remote console all together. However, in more complex, NATted, or isolated VCD vApp deployments, a network route between client and vApp won’t exist for traditional clients, thus users will be constrained to the VCD remote console. I can’t stand a slowly responding GUI with a non-optimized display driver. In my lab experience, VCD retains the WDDM driver installation on 2008 R2 vApp templates.